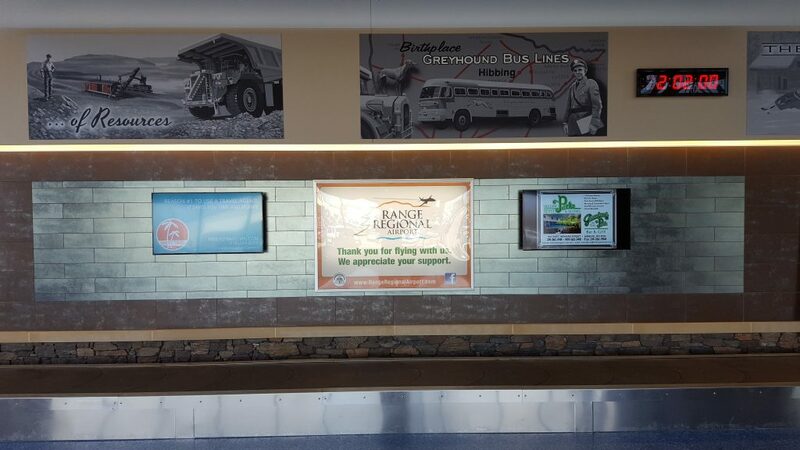 Every year, over 100,000 people pass through the Range Regional Airport terminal, including those traveling by air, meeters and greeters, and auto rental customers. 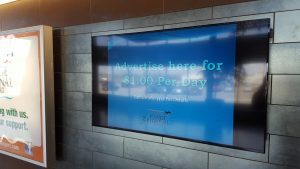 You have a captive audience with 90 minutes to view your advertising while they wait to board their flight or are returning passengers. 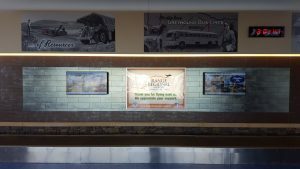 Digital advertising monitors, banners, and floor exhibits are just a sample of advertising venues available for advertising within the airport’s terminal. Digital Advertising Monitors rent for $1.00 per day. View our simple agreement here.